Post: Gaurav Akrani. Date: 12/30/2010. No Comments. Label: Economics. Governments need to perform various functions in the field of political, social & economic activities to maximise social and economic welfare. In order to perform these duties and functions government require large amount of resources. These resources are called Public Revenues. A tax is a compulsory payment made to the government. People on whom a tax is imposed must pay the tax. Refusal to pay the tax is a punishable offence. There is no quid pro quo between a taxpayer and public authorities. This means that the tax payer cannot claim any specific benefit in return for the payment of a tax. Every tax involves some sacrifice on part of the tax payer. A tax is not levied as a fine or penalty for breaking law. 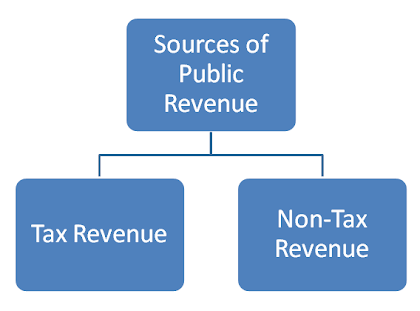 The government collect tax revenue by way of direct & indirect taxes. Direct taxes includes; Corporate tax; personal income tax capital gain tax and wealth tax. Indirect taxes includes custom duty, central excise duty, VAT and service tax. In 2006-07 (India related), the tax revenue contributed about 81% of the total revenue receipts of the central government, whereas non-tax revenue receipts contributed the remaining 19%. It is a kind of special charge levied on certain members of the community who are beneficiaries of certain government activities or public projects. For example, due to a public park in a locality or due to the construction of a road, people in that locality may experience an appreciation in the value of their property or land. Thus, due to public expenditure, some people may experience 'unearned increments' in their asset holding. Betterment levy is like a tax because it is a compulsory payment, but unlike a tax, in case of betterment levy there is some element of quid pro quo. This excess may be met by borrowings from the market, borrowings from abroad, by the central bank creating currency. In case of borrowing from abroad, there cannot be compulsion for the lenders, but in case of internal borrowings there may be compulsion. The government may force various individuals, firms and institutions to lend to it at a much lower rate than the market would have offered.